Migrating your office systems to the cloud brings many benefits to your workplace such as lower costs and increased efficiency. It can also make life easier for your employees. Taking the time to properly introduce your staff to a new system and ensuring they receive sufficient training in the best ways of using such systems and how to ensure the safety of their personal data while doing so is essential if you want the transition to be as smooth as possible. A good way to bring your employees on board is by highlighting the many benefits the cloud has to offer. Proper training is essential as most cloud providers, such as Amazon Web Services (AWS), operate a shared responsibility model. Knowing how to implement AWS cloud security best practices to identify incidents of misuse helps keep both your company and your employees safe. Here’s how to keep your employees safe on the cloud. Cloud security systems are constantly monitored for signs of malicious activity, meaning your staff can focus on their work and worry less about accidentally uploading a virus to your company network. Many employees believe they are not important enough to the company to be a target of an attack, but this is exactly the kind of thinking that can cause difficulties. The most sophisticated hackers will actually target low-level employees for this precise reason. They also realize that if someone higher up the corporate ladder receives a request from someone within the company, rather than via a suspicious email, they are far more likely to respond positively. One possible strategy that can help protect employees from their own shortcomings is to limit and filter out attachments arriving onto the company network via email or social media links. Such attachments are often the sources of the malicious files that go on to cause problems with company systems. Although such a move seems dramatic, it is highly effective and, according to security experts, has a far lower impact on the ability of employees to carry out their day to day duties than many employees initially believe. Using the cloud makes it possible for your employees to collaborate and share work without compromising their personal security. Rather than having to take home a specific flash drive or computer, or move a piece of equipment from one office to another, all their work can be done through shared online access. A cloud-based system also means that, if a member of staff is out of the office and requires access to a particular file, they can do so security by using any computer connected to the internet. This means they never have to worry about arriving at a meeting having forgotten the files they need for a key presentation. In addition to keeping your employees safer while they are online, cloud computing can also improve the quality of their lives. Research has shown that workers who have access to and make use of cloud-based applications are happier at work, likely to remain in their jobs for longer and more satisfied with their work/life balance. 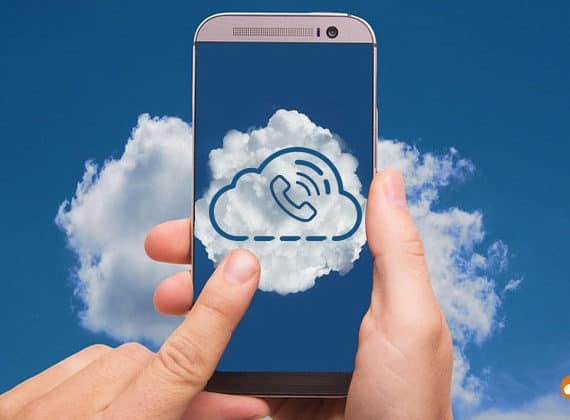 Cloud-based solutions have also been shown to boost productivity, the level of excitement about an employee’s job and the amount of success they achieve within their roles. One of the biggest threats any company has to face is that posed by its own employees. Workers with a grudge who manage to gain access to sensitive files or documents can cause havoc by passing them on to rival firms or leaking details of new developments or research results ahead of time. Another advantage of cloud computing is that it simplifies the process of ensuring employees are only able to gain access to the files they are authorized to work with. Cloud systems also make it easier to track down attempts to bypass such systems. How To Keep Your Employees Safe On The Cloud 4.5 out of 5 based on 2 ratings. 2 user reviews.